Our "5 Free Things to Do in Paris" was so popular, we decided to write up a few more 'freebies' that one can do while traveling through Paris. 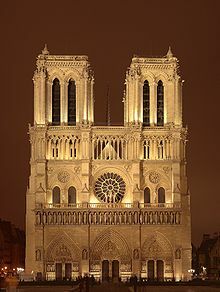 1) Walk through Notre Dame Cathedral - one of the world's first buildings to use the flying buttress in its design, was actually completed in 1345, although construction began in 1163. The Cathedral offers free tours, and free entry (yes, free!) although visiting the Tower and Treasury will cost you. 2) Spend an afternoon in the Tuileries Gardens. Located between the Louvre and the Place de la Concorde, the Gardens have been open to the public since 1564. It is a wonderful place to waste away a few hours reading, eating a picnic lunch, or enjoying a bottle of Pinot. 4) Head to the Cemetery of Pà¨re Lachaise (metro stops: Gambetta, Philippe-Auguste, or Pere-Lachaise) in the city's northeast corner to pay homage to some of modern history's most revered artists, novelist Oscar Wild and the Door's lead singer, Jim Morrison. 5) Take a look in the lobby of the grand Hôtel de Ville, located right in the center of Paris. While this expensive hotel might be out of reach of most travelers budgets, one is always welcome to take a look in the lobby of Paris' old city hall and to explore the courtyard hidden right inside its entrance.